Click HERE for all event forms and applications! 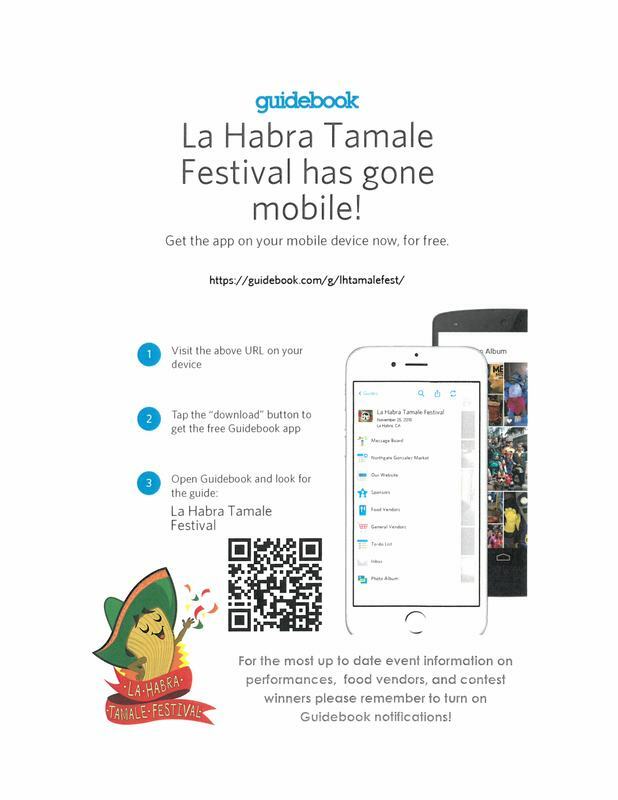 La Habra’s first Tamale Festival was held in 2014, and attendance was so great that the City decided that the event should be added to the list of over 100 annual La Habra happenings! The all-day Festival has grown, and in 2016 drew 10,000 participants who shopped, laughed and ate, while enjoying performances by exceptional entertainers that included local dance studios and musicians, as well as a craft pavilion with local vendors, churro eating contests, and best tamale, best dessert tamale, best salsa and hottest salsa contests. In addition, we added a “check-in" point, where 200 people received recyclable bags for their tamale shopping, and a free special event shuttle that brings residents and visitors to the festival from a convenient off-site parking area. Last, the City's annual Holiday Tree Lighting ceremony is now part of the event. Join us for this year’s Festival and be a part of our local history!